What a unique ride this was! At the nudge of Chelsea @suspensethrills, and having Into the Drowning Deep via NetGalley, I couldn't pass this up. At under a hundred pages, this really packs a punch! We have what is basically a TV scripted show/documentary in search of mermaids. With professional mermaids hired and a camera crew, they were going to show the world they existed, even if they really did not. After all, we all know that "reality" TV is usually anything but. Little did they know that they truly do exist and they are LETHAL! When's the last time you read a book where everyone dies? Going back and forth between "news segments" and what's actually happening on the Imagine ship, Mira throws you into a novella that feels like a full novel. The last three lines may have some scratching their heads and really does seem to come out of left field and it took me about 30 seconds of looking confused to have it register. 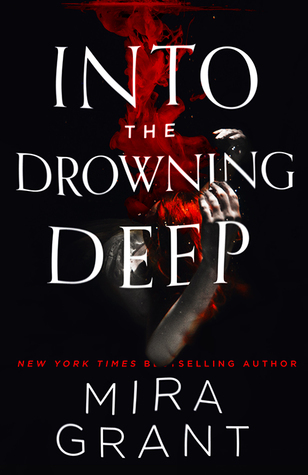 Bravo, Mira, a wonderfully unique story where mermaids are beautiful luring creatures but ugly, merciless and out for blood. 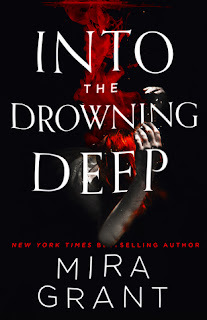 Really looking forward to Into the Drowning Deep now - must see where this goes!! Full 5 stars for uniqueness. As a prequel to Into the Drowning Deep, which is also out and what I'll be reading this month - see what's next!! I love Mira Grant's Newsflesh series, but I had no idea she was writing these! I'm so intrigued! A friend turned me onto this! 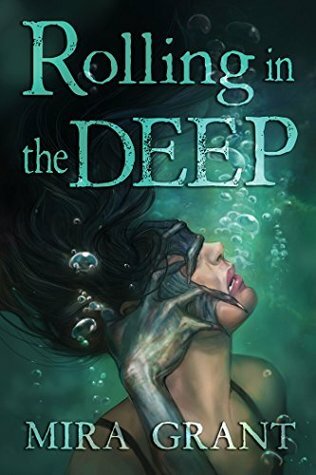 It's such a unique read and killer mermaids? YES PLEASE!